UPPER EAST SIDE, N.Y. -- There were some scary moments when a car went off the road and into a Starbucks on the Upper East Side Monday, injuring two people. 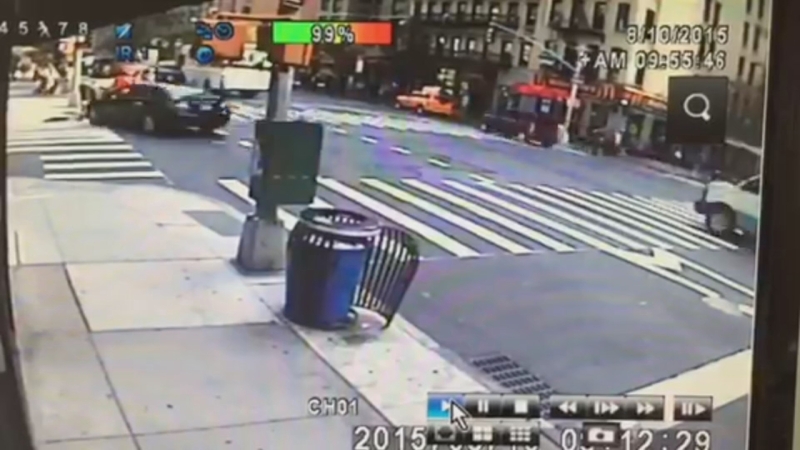 The crash happened at East 69th Street and First Avenue in Manhattan at about 9:15 a.m. The driver of the car went off the road and struck the building. Two people, including the driver and a person believed to be a pedestrian, were taken to the hospital with non-life threatening injuries. The car did not go through the wall of the building. The ordeal was captured on surveillance cameras at nearby Patsy's Pizzeria. There's no word yet what caused the driver to go off the road. The Starbucks store is currently closed while police investigate.